Install the latest OpenVPN package (depends on your Linux distribution). Unzip all *.ovpn files (each file is for one VPN server) and unblockvpn-ca.pem files to some directory. For example to your HOME directory. Open terminal as a ROOT and change to directory which contain previously unzipped files. 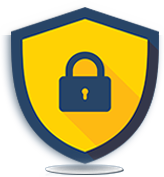 Enter your GuardMyIP.com Account details - your User name and Password. If you can see the message "Initialization Sequence Completed" your openvpn connection is established. If you have problem with opening pages. It is probably problem with automatic DNS or ROUTE configuration. Please check your /etc/resolv.conf file and add right DNS configuration. You can use for example Free DNS servers from OpenDNS.com. This service is for customers that require our support team to remotely install our service on their computers. This service should only be purchased after completing the monthly subscription payment. This service is available from Mon-Fri between the hours of 9.30-17.30 Central European Time, out of hours service is available by appointment.